Pupils follow the AQA KS3 syllabus for Physics, which equips them with the basic knowledge and concepts required to study the subject in more detail at GCSE. Forces, sound, light and space - the essential building blocks that give us the basics of the complex but fascinating world of Physics. At Westbourne we aim to make Physics an accessible and interesting subject for all pupils and to ensure each is able to make positive progress. Challenging and interesting courses encourage our students to think imaginatively about Physics and our girls and boys are actively involved in all stages of the learning curve and are provided with support and encouragement to help them develop the tools for learning through Physics. 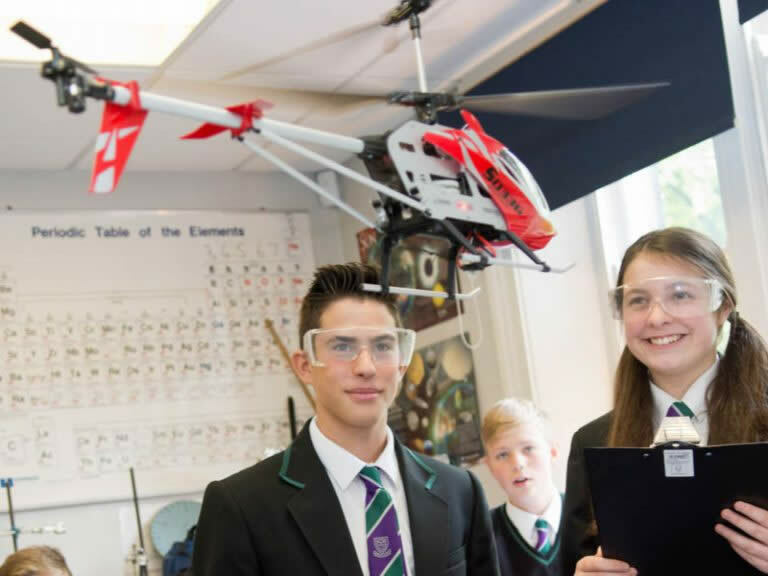 We also provide opportunities to develop the skills necessary to apply their knowledge and understanding of Physics to life outside the classroom.